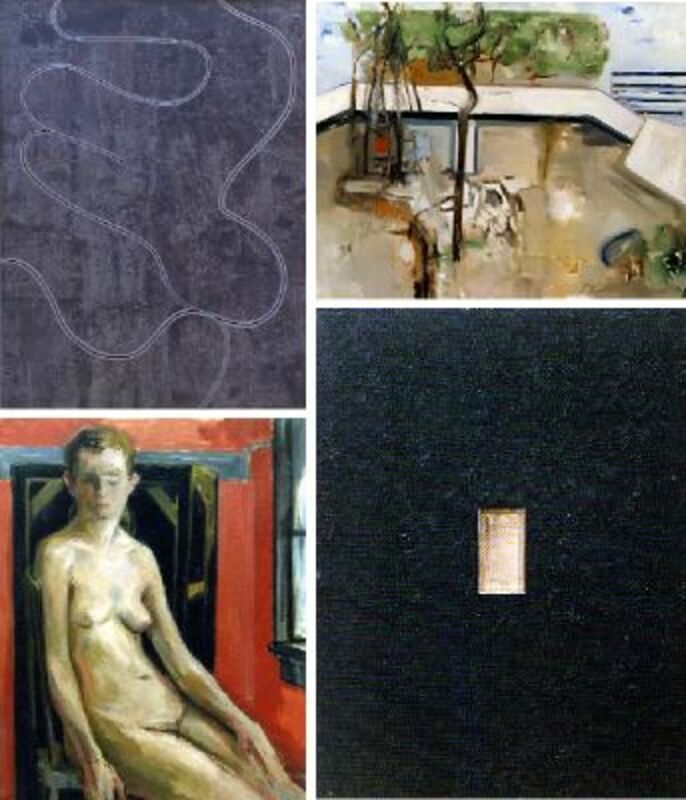 Clockwise from top left: Donald Judd, Untitled, 1960, oil on canvas, 65 x 49 1/2“. Donald Judd, Untitled, 1955, oil on canvas, 31 x 36 3/4”. Donald Judd, Untitled, 1961, oil on Masonite and wood with aluminum pan, 48 1/8 x 36 1/8 x 4“. Donald Judd, Untitled, ca. 1950, oil on canvas, 30 3/8 x 24”.